Anita Barraud: There are few of us who straight out of university are able to combine our passions with a career. 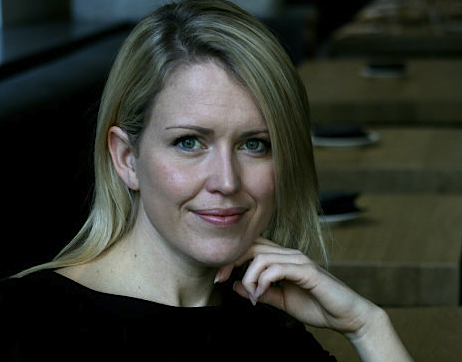 Australian lawyer Jennifer Robinson is well known in the London and international legal circuit as one of the defence team for Julian Assange. Her career has been remarkable for a lawyer still in her early 30s. She’s worked on cases such as The New York Times’ breaking of the first phone hacking story, she’s represented activists from West Papua, been involved in other significant media law and also international human rights cases. On her way home from London to Australia recently, to talk about her experiences on the WikiLeaks defence team, she was prevented from boarding her flight at Heathrow airport. She’s still bemused by what took place. Jennifer Robinson: We still don’t have answers on what exactly happened. The Virgin Atlantic staff couldn’t check me in when I presented at Heathrow airport. They then checked with security, came back and told me I was inhibited and that they would be required to call Australia House before I would be able to travel, and a security guard came over and told me I must’ve done something controversial to land on one of those lists, but as they went to call Australia House my boarding pass printed, and so I was able to board the flight without having to make that call, but it still raises a lot of questions around what does it mean to be described as inhibited, in what circumstances would it be that an Australian citizen would require the approval of Australia House, and why wouldn’t airlines think that they needed the approval of Australia House for me to be able to travel home, and subsequent to that the Australian government has said that they have nothing to do with it. Virgin Atlantic have said it’s a security services issue, and the UK government has said they’ve got nothing to do with it, so we still don’t have any answers. Some journalists have been pointing towards US travel watch lists, which refer to…use the same language, inhibited. It’s not a word that I’ve ever heard used in reference to me before, but I just don’t know, and you know, I have concerns about it. Does it…will it happen again, is it going to affect my travel in the future? And these are all questions I would very much like to be answered from the Australian government on. Anita Barraud: And as it was pointed out the bizarre thing was is that one of the events you were coming back to Australia to do was to talk about lawyers in the firing line. Jennifer Robinson: Precisely, I mean, the irony; I was literally coming back to travel down to the Commonwealth Law Association regional conference at which I was presenting a paper called ‘Lawyers at the Frontline’ in relation to my work defending WikiLeaks and advising WikiLeaks through Cablegate. So, in December 2010 just as Cablegate was about to be published alongside WikiLeaks media partners, a process that I had been involved in with my colleagues in negotiating, I was the subject of a Lawyers’ Rights Watch complaint because of some correspondence between the US State Department and myself, in which the legal advice to the State Department had implied through correspondence that the publication of Cablegate was somehow a joint enterprise between Julian and myself. There was a letter addressed, Dear Ms Robinson and Mr Assange, in which the US government made a number of unsubstantiated and exaggerated allegations including, ‘You are about to publish, which will put at risk lives, which will put at risk our military operation’, using the word you as if I was somehow jointly involved. Anita Barraud: Well, can you describe your role in the WikiLeaks case? Jennifer Robinson: I became involved as external legal council working for a law firm in London. We were engaged by Julian Assange and by WikiLeaks to advise during Cablegate and to act in the extradition proceedings that subsequently occurred after the Swedish arrest warrant came live. Julian has subsequently instructed another lawyer, Gareth Peirce who’s now the lead lawyer in the extradition proceedings, so I’m not directly involved in those proceedings anymore, but I have continued to be involved on a pro bono basis for both Julian and for WikiLeaks including observing the Bradley Manning proceedings for him in the US last year working alongside the Center for Constitutional Rights in New York. Anita Barraud: And you’re…while you’re no longer part of the legal team you still also advise around the financial areas? Jennifer Robinson: That’s right, so WikiLeaks has been subjected to a financial blockade by the world’s leading financial services organisation—Visa, MasterCard, PayPal, Western Union and others. This has resulted in WikiLeaks’…95 per cent of WikiLeaks’ income being completely wiped out. Of course, WikiLeaks is a non-profit media organisation which is dependent upon donations from the public to maintain their operation, and the financial services blockade which started in December 2010, also the result of the very same letter from the State Department that was the subject of a Lawyers’ Rights Watch complaint in which wrongful allegations were made of illegal conduct. That has caused a huge problem for WikiLeaks, and so we are investigating legal action and ways in which we can combat that. There is no law that’s been put in place by the US government that says that donating to WikiLeaks is outlawed, but you have these major financial companies achieving what is effectively economic censorship, and achieving what the US government could not because of the First Amendment. It’s quite a frightening precedent. Anita Barraud: And you also advised The New York Times on the phone hacking scandal, is that right? Jennifer Robinson: I did, in my previous role as a media defence lawyer in London we advised The New York Times. They broke, of course, one of the key stories in the phone hacking scandal in September 2011, I think it was. Jennifer Robinson: That’s right. We advised The New York Times on the story. It was a fantastic story and fantastic investigative journalism in which they had discovered the link with Andy Coulson, the prime minister’s former adviser, and the extent of his knowledge of the phone hacking scandal, and this was an incredibly important story at that time because until that time there hadn’t been a whole lot of evidence about how high up the chain knowledge had gone of the practices of phone hacking within News International and that story was key. Months later Andy Coulson was subsequently forced to resign from his position and there are ongoing criminal investigations. Anita Barraud: And it’s still going on, there’s still revelations emerging now. I wonder, being in the middle of these big stories, looking down the track, how you’ll see them. Say in ten years’ time. You know, what will they signify? Jennifer Robinson: The last two years have been, I think, watershed moments for press freedom. When you think about the information revolution that’s taken place post WikiLeaks where it’s forcing us to look at the media in a different way, we’ve seen the advent of scientific journalism as a result of WikiLeaks’ work, which is that…you know, journalists are now required to show the material upon which they’re reporting, which is I think a big step forward. We’re also seeing a very different way in which we consider freedom of information. At the same time you have the phone hacking which is on the other end of the spectrum which is all about privacy. Anita Barraud: And responsibility of the media too. Jennifer Robinson: Absolutely, and the responsibility and the accountability of the media. I certainly hope that the phone hacking scandal is not going to result in too much additional press regulation because it’s a self-regulated press, it’s a free press, and it’s a real concern what might happen as a response. Anita Barraud: I’m speaking with Jennifer Robinson, media law international human rights lawyer and I think, I’m thinking you’re still pretty much in your early 30s? Jennifer Robinson: I am, I’m thirty-one. Anita Barraud: Thirty-one and you’ve already knocked up some real big international legal war stories. Can you tell me about your first one? Jennifer Robinson: Well, I think probably my first international legal war story was actually when I was 21, living in Indonesia, and I spent some time working for a small human rights NGO. I ended up helping the legal defence team for a major political prisoner called Benny Wenda. Now, he was a tribal leader of the people of West Papua who in large part wished for independence from Indonesia. They were illegally annexed by Indonesia in the late ’60s much like East Timor was in the mid ‘70s, and he was a political leader and accused of something he didn’t do because of his political beliefs, and it was the most eye-opening experience as a 21-year-old to see somebody persecuted for their political beliefs, to see the legal system operate in ways that were incredibly unfair, and he subsequently escaped from prison and I assisted him to get asylum in the UK some time later, and he’s now a leader of his people. Anita Barraud: A leader in exile, and I think, I believe the charges against him from memory was, there was an attack on a police station. He wasn’t even there, near the town at the time, and yet he was rounded up and accused. Jennifer Robinson: That’s correct, so the allegation was that he had somehow incited an attack on a police station. Interestingly out of the same set of facts the police subsequently rounded up a whole bunch of indigenous West Papuans and beat them terribly in a case that was considered by the Indonesian human rights commission as a crime against humanity. So you have a political leader accused of something he didn’t do, he wasn’t even in the country at the time it took place, or at the meetings at which they say he allegedly incited the attack, then on the other side you have police officers who are guilty of torture and of crimes against humanity, and they all enjoy impunity and yet you have these political leaders persecuted. And what’s even more frightening, and Benny’s case is actually becoming a test case, ten years down the track, living in London, he’s now a British citizen, Indonesia has sought an Interpol red notice for his arrest, for the very same politically motivated charges that he was granted refugee status for in the UK. Anita Barraud: Jennifer Robinson, you’ve had a stellar academic career. You’ve got a double degree in Law and Asian studies, you’re a Rhodes Scholar, you aced everything. How did this…I’m trying to track this path. You went to Bomaderry High School. Anita Barraud: Rural New South Wales. What led you to this sort of international media law cases, representing activists for self-determination in West Papua in the human rights courts? Jennifer Robinson: I know, well I…I come from Berry, on the south coast of New South Wales, and my family trained race horses, so I had idyllic upbringing on the south coast of New South Wales in a very big family. My grandfather was a very well known horse racing trainer, Kevin Robinson, and my father Terry also trained, so I grew up around horses on the beach. I was a beach surf lifesaver, and I love coming home, and I just love spending time on the south coast. It’s such a beautiful place. It makes me miss the country. I had the great opportunity of studying Indonesian at high school, I was a product of the Keating government policies of bringing Australia close to the Asia Pacific, and I had a wonderful Indonesian teacher and I had the great opportunity of travelling to Indonesia when I was 16. It opened my eyes to the world and to how other cultures live, other countries live and the difficulties that people face and how lucky we are in Australia, and so I pursued my Indonesian studies at the ANU with my legal studies, ended up spending a year living in Indonesia which took me to West Papua, and that experience was life changing. Seeing how directly you can have a positive impact as a lawyer in a field like that is really motivating. Anita Barraud: You now are a legal director, you’ve created a foundation. Can you tell me about the Bertha Foundation? Jennifer Robinson: Well, the Bertha Foundation is a new foundation, it’s only been running for a couple of years, but very exciting, I’ve come on board as the director of legal advocacy and my role is to create a global program supporting public interest legal practice and human rights, strategic human rights litigation around the world with a particular focus on encouraging young lawyers and students to work in the field of human rights, and so it’s incredibly exciting, it’s incredibly new, incredibly challenging, but I think we’re working together with some fantastic lawyers from all over the world to try and build a great network of people who are passionate about this work and are doing great things with the law. Anita Barraud: So what do you do in your spare time? Jennifer Robinson: Spare time… I think any lawyer who works in as many projects as I do will tell you that there’s little spare time, but I really enjoy travel. Ever since my time in Indonesia a long time ago I’ve loved learning about new cultures and new languages and travelling to new places, so I spend a lot of time doing international travel. I try to get home to Australia as much as I can, and of course I try to keep up my sport, it keeps me sane. Anita Barraud: And I heard a rumour that you were writing a book too? Jennifer Robinson: I am, actually. I’ve started writing a book about my experiences in West Papua, not so much about my own experience but about the cases that I experienced, and seeing what I saw there as an Australian, because I think I went to West Papua not understanding very well what happens out there and not knowing much about the history and about why it was the way it was, and I would very much like to raise awareness in Australia about what happens there, because unfortunately it’s only 300 kilometres north of our shores and very few people understand what’s happening. Indonesia has banned all foreign journalists and organisations, so it’s very difficult to get information in and out, but it’s a fascinating place and a very sad story, and having spent time there working on some incredibly controversial cases, I mean, Benny Wenda’s case is an amazing story, and I’d like to try and tell that story. Anita Barraud: Jennifer Robinson, lawyer and advocate and serious over achiever. You’re listening to the Law Report broadcast each week on RN, Radio Australia and ABC News Radio. Our website is at abc.net.au/rn/lawreport, and you can find us on Twitter @lawreportrn. Anita Barraud with you. Law Report broadcast each week on RN, Radio Australia and ABC News Radio. Website: abc.net.au/rn/lawreport; @lawreportrn.